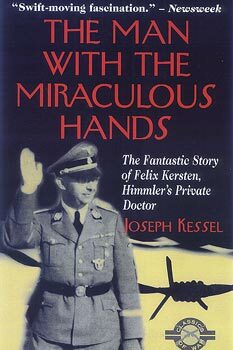 alternative-medicine specialist, could alleviate Himmler’s severe stomach pains with his hands, using massage and used his resulting influence with Himmler to win release of innocent prisoners condemned to die. By war’s end, thanks to Kersten, thousands of Jews and other prisoners had eluded the fate of the concentration camp. This is a memorable account of a little-known miracle of World War II.